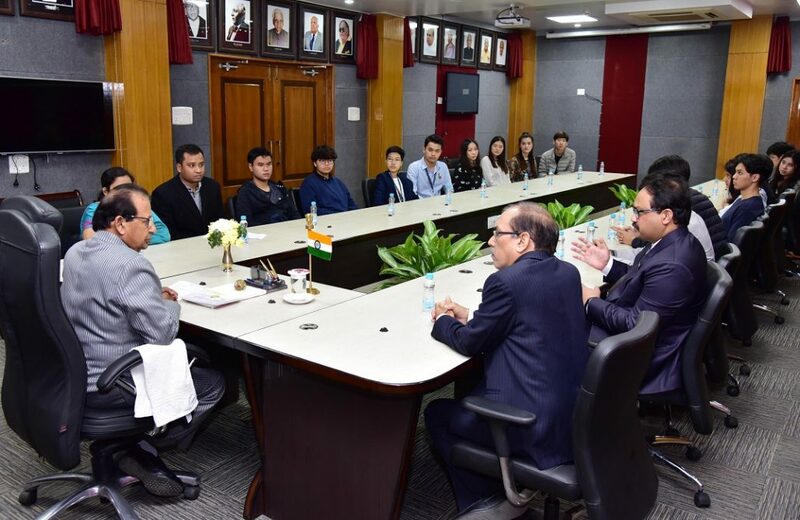 A group of 15 students from Thammasat University, Bangkok who are pursuing their academic programme in Gauhati University, visited Raj Bhavan on Wednesday and interacted with Assam Governor Prof Jagdish Mukhi. It may be noted that the students from Thammasat University, Bangkok have joined Gauhati University to pursue their course in the Centre for South East Asian Studies of the University. 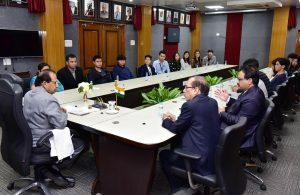 Interacting with the students, Governor Prof Mukhi while reiterating the affinity between the people of Assam and that of Thailand and geographical proximity between the entities, said that students are the ambassadors of bilateral friendship and camaraderie. Students of both the region should strive to strengthen the academic relations between Assam and Thailand. Appraising them of the different strong facets of Assam like tourism, history, its rich flora and fauna and of course the state’s enticing beauty, the Governor asked to visit different places and experience the warmth and hospitality of the people of Assam. 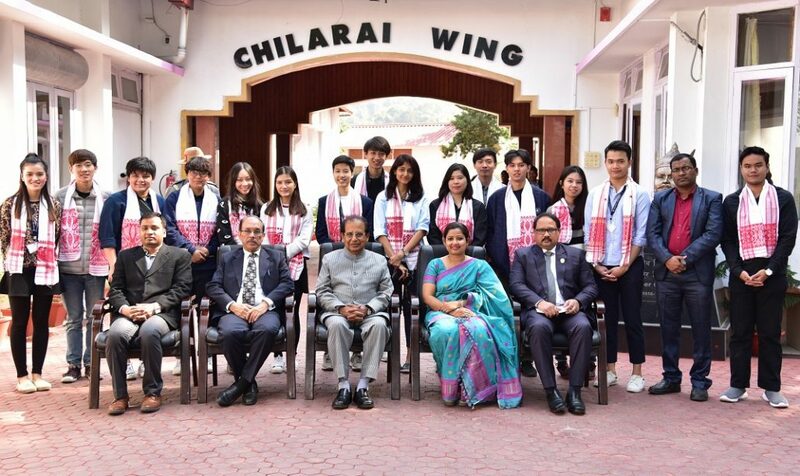 The Governor also asked the vice chancellor of Gauhati University Prof Mridul Hazarika to take the students to different tourist places and other places of importance and help them to know Assam and carry the message to their country. He also explained them the objective of India’s Act East Policy and how they can be the ambassadors in furthering the people to people contact between Assam and Thailand under the policy. Gauhati University is also expecting students from Nepal and some other South East Asian countries. Assistant Professor of Political Science Department, Barasha Deka and coordionator, Centre of South East Asian Studies Manoj Das had also accompanied the team.